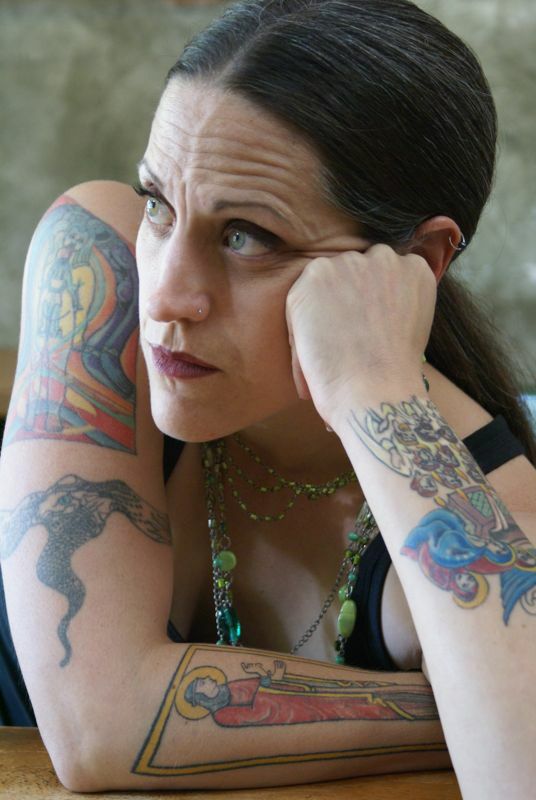 DID NADIA BOLZ-WEBER JUST CALL JESUS "A SCHMUCK"? Apprising Ministries has long been maintaining that Mainstream Evangelicalism Is Now On The Rapid Slide To Apostasy because of its ongoing embrace of the egregiously ecumenical Emerging Church aka Emergent Church—morphing into Emergence Christianity—(EC). Along this line I have reminded you a few times now about the upcoming Emerging Church conference Christianity 21 (C 21) October 9-11. But thanks anyway for your contribution to the emerging church. Pastrix Bolz-Weber calling Psalm 45 “the nerdiest Psalm ever” is precisely the focus of this particular piece. During the short “exposition” of Psalm 45 by this EC “Voice” Bolz-Weber will tell us that this Psalm talks about “like the chicks in your court, are like, totally hot,” and “it makes me think the person he’s writing about is actually kind of a schmuck and he doesn’t like him.” But Psalm 45 is a Messianic Psalm, it’s ultimately about the Christ—Jesus of Nazareth. This psalm is an illustrious prophecy of Messiah the Prince: it is all over gospel, and points at him only, as a bridegroom espousing the church to himself and as a king ruling in it and ruling for it. It is probable that our Saviour has reference to this psalm when he compares the kingdom of heaven, more than once, to a nuptial solemnity, the solemnity of a royal nuptial, Mt. 22:2; 25:1. The psalm is a royal psalm and functioned as a wedding song at the occasion of the wedding of a royal couple. Because of the theological significance of the wedding and the function of the Davidic king within God’s order of life in Israel and Judah, the wedding song takes on typological significance. Applicable to any descendant of David, it extols the privileged position of his people and sets forth God’s expectations of his appointed vassal on earth (cf. Pss 2; 110). It’s pretty clear for those with ears to hear that the inspired Psalmist, while likely intending to write simply of the royal wedding of someone in the Davidic line, was then guided by God the Holy Spirit (see—2 Peter 1:20-21) to also write concerning the Messiah Himself i.e. Christ Jesus. So with this proper Bibliology in mind I will point you to the clip below by Christian apologist Chris Rosebrough from his Fighting For The Faith program on his Pirate Christian Radio network where he further elucidates the proper Biblical context of Psalm 45. It is unmistakeable that, here in Psalm 45, we’re got this amazing—amazing—prophecy regarding Jesus Christ Himself. And so, in this royal wedding Psalm, there is embedded in it, a clear allusion to Jesus Christ; and I would even say the Wedding Feast of the Lamb. The coming future eschatological event when Jesus Christ, and the Bride of Christ—which is His Church—are joined together. And so she’d best be prepared for those like myself whom God has raised up and given forums where we can — reprove them severely so that they may be sound in the faith (Titus 1:13, NASB).